"It is with sincere pleasure that I welcome you to the Monarch family. I trust that your stay with us will be memorable. I would like to wish you a long and happy stay at the Monarch"
"A sophisticated boutique experience for even the most discerning visitor, Johannesburg's Hotel Monarch combines first-world amenities with old world grandeur, creating a welcoming space for business travellers and tourists alike. 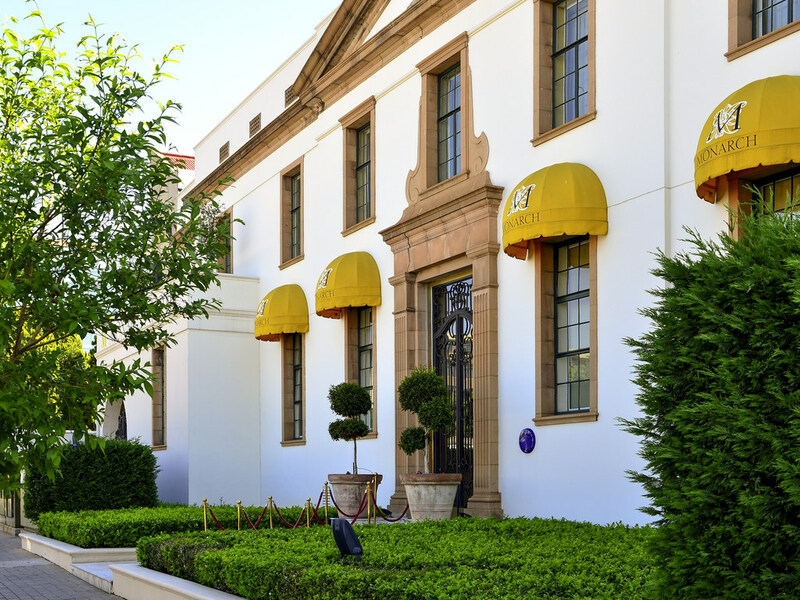 From the chandelie red lounges to the manicured garden, the hotel features an eclectic mix of antique furniture and luxurious fabrics, offset by an extensive collection of modern art pieces by new and emerging South African artists." Monarch Hotel offers 12 suites comprising of 1 Presidential suite, 5 Royal suites and 6 Luxury rooms. Suites are immaculately furnished with impeccable style and grace. KOI is renowned for offering an outstanding dining experience in a comfortable, yet chic environment. Effortless perfection, modernist décor and an intriguing menu that leaves nothing to be desired. The Chefs at the Monarch aim to please our guests with the highest levels of quality and service, making every visit an unforgettable experience that will entice you to return again and again. Our menus are changed on a regular basis. Established in 1995, The Grillhouse has received numerous awards, including Leisure Options' Best Independent Steakhouse (for the last five years), and a Rossouw's Restaurants rating of three stars (the highest accolade). Marble offers Joburg diners something different - not just a plate of food, but a theatre of experience. Marble celebrates the quintessential South African tradition of cooking on fire - and not just meat, but all types of ingredients cooked on coals. A Variety of Quality Seafood, a choice of Fresh Linefish daily, Tender Calamari and the Best Mozambique Prawns, Langostines and Lobsters to choose from. An ambience of classic Marble and Leather tones and Contemporary furniture sets the scene for your after-dinner cigar and coffee or cognac. With a selection of cocktails and champagnes.